The Nootrobox Sprint Review – 1 BIG Reason to Try It! Nootrobox Sprint Review – 1 BIG Reason to Try It! Home » Nootropics » Nootrobox Sprint Review – 1 BIG Reason to Try It! When you start looking into brain boosting supplements, you will quickly realize there are two broad categories to choose from – those that build up over time and those that get right to work, helping you do the same. There are benefits with each, but they are distinctly different. The slower acting supplements come on gently over time, making subtle changes in the way your mind functions. The fast-acting ones give you a boost of energy, motivation, and cognitive enhancement, allowing you to dive in and get your project done, whatever it is. Nootrobox Sprint is a new supplement from an also new company. Nootrobox makes has four products they include in their stack. I say stack because the way they’re promoted is that you can use them either together for their synergistic benefits, or alone if you’re looking for a more targeted solution. Nootrobox Rise is their flagship daily use product, while Nootrobox Sprint is their fast-acting entry, meant to be taken just when you need that extra push of productivity. Nootrobox Sprint is a take as needed nootropic supplement designed to help you “get the job done”. They claim it boosts clarity and energy and it puts you in the productivity flow you need to be in to power through the task at hand, doing your best work. While being tired gets you nowhere and being overstimulated (like with too much straight up caffeine or the caffeine and sugar in energy drinks) keeps you from maintaining focus and concentration (not to mention leads to a crash), Nootrobox Sprint claims to use just the right combination of caffeine and other substances to put you in the optimally productive state for several hours. One of the more helpful things about the Nootrobox company is that the provide not only the ingredients used in their formulas, but they also reveal ingredient amounts. This is more rare than you probably think. Most companies are more than happy to tell you the WHAT, but they stop short of letting you know the HOW MUCH. If they say their blend is “proprietary,” they don’t have to tell you that instead of the clinical dose of an ingredient – say 600 mg – they use only a dusting – say 25 mg. – basically useless. But Nootrobox Sprint gives you everything they can to help you know how effective it’s likely to be. Caffeine is widely known and used to increase alertness, focus, and mood. 2 Nootrobox Sprint capsules have about as much as a cup of coffee. This is not too terribly much, but that’s by design. It’s enough to provide the benefit, without overstimulation or crash. 100 mg L-Theanine.L-Theanine is an amino acid that provides an anti-stress effect. It’s becoming more and more common to see it used in conjunction with caffeine. It smoothes out the edges without counteracting the alertness. In fact, while reducing some of the harsher effects of caffeine, it also increases its improvement of alertness. The 2:1 ratio of L-Theanine to Caffeine has been studied and found to be optimal. The Mayo Clinic recommends 20 mg of vitamin B6 for nootropic benefits. It’s an antioxidant that has shown some relationship to lessening cognitive decline. It improves both neuron health and memory. While studies may not show much of a direct link with cognitive enhancement, they do demonstrate a correlation with certain biomarkers of dimentia. Recent studies of older adults show that there may be a connection between cognitive decline and lower B12 levels. Increased B12, along with other antioxidants, has shown to improve memory in older subjects. 10-50 mcgs is the recommended dose given by the Mayo Clinic. Vinpocetine is becoming very popular in nootropic supplements. It reduced inflammation and seems to have a positive effect on memory, attention, and reaction time. One of the most important factors is that it is able to cross the blood brain barrier when taken orally. Many supplement ingredients cannot, rendering them almost useless when taken orally. This is an amino acid that may counteract the negative effects of stress. In studies where subjects under stressful conditions are given L-Tyrosine, their mood and cognitive abilities are improved. 150 mg per day is the lowest recommended dose we’ve seen, so the 200 mg in each Nootrobox Sprint capsule should be easily effective. The backbone of the formula is the caffeine and l-theanine one-two punch. These are being used together much more frequently as the benefits of doing so become more apparent through studies and anecdotal evidence alike. The addition of B Vitamins, Vinpocetine, and l-tyrosine only add to the benefits, especially given their clinical doses. How To Use Nootrobox Sprint? The recommended dose is 1-2 capsules about 30 minutes before you plan to dive into your product. Remember, it’s a take as needed supplement, so not necessary to take every day. In fact, the 60 capsule bottle could last quite a while if you use it only occasionally. Nootrobox Sprint is currently undergoing a small clinical trial conducted by the company in conjunction with Maastricht University in the Netherlands. It’s a 12-week study in which they will determine the effect of Nootrobox Sprint on verbal memory, working memory, focused attention, visual tracking, and reaction time. Information on the study can be found on the Nootrobox website. With some supplements, it’s all about the product, and there’s very little discussion of the company behind it. This is not the case with Nootrobox Sprint.Nootrobox is based in San Francisco. The company was formed in the spring of 2014 by a few Standford Computer Science graduates looking to build a company that “creates a better society through smarter, better brains”. Intellectual ability is the driving force of civilization. Self-Actualization comes from hard work. Technologies to advance human abilitiesare inevitable and will be everywhere in the coming years. A smart society is a better society. Along with their products, Nootrobox provides what they call their Open-Sourced Nootrobox Roadmap.It’s basically an elaboration of their mission statement we talked about above, but it maps it out in more detail. Leg 1:Best In Class Inputs. In other words, they make the best supplements to produce the most positive outcome within the human system.While they produce the supplements, they also recommend healthy and productive lifestyle choices and the CEO of the company will send you weekly emails on this and various subjects.As far as their supplements go, coming from the Silicon Valley area, they push the idea that they are fully “open source”. What this means in this context is that they aim to be fully transparent as far as what goes into their formula and why.They do in fact follow through on this commitment by publishing on their website the changes made in the Rise formula from original inception until now. They are involved in creating software used to measure the outcomes of their supplements and various other inputs.This leg appears to be at its beginning stages.The idea is that we cannot improve inputs unless we know what outputs are the result of what’s currently being used. Nootrobox is developing software that can be used to pinpoint the precise supplementation needed by each individual. So while they are at this point selling supplements, they claim amuch broader scope than that for the future. It’s clear the the Nootrobox company has lofty goals for itself, with plans to build a cognitive improvement empire with this line of nootropic supplements as its foundation. Finding independent reviews for Nootrobox Sprint proved difficult, but there are customer testimonials presented on the official website. On the other hand, there are a few reviews about the Nootrobox company’s customer service floating around. The 2 reviews above make reference to repeated billing, ie subscribing. 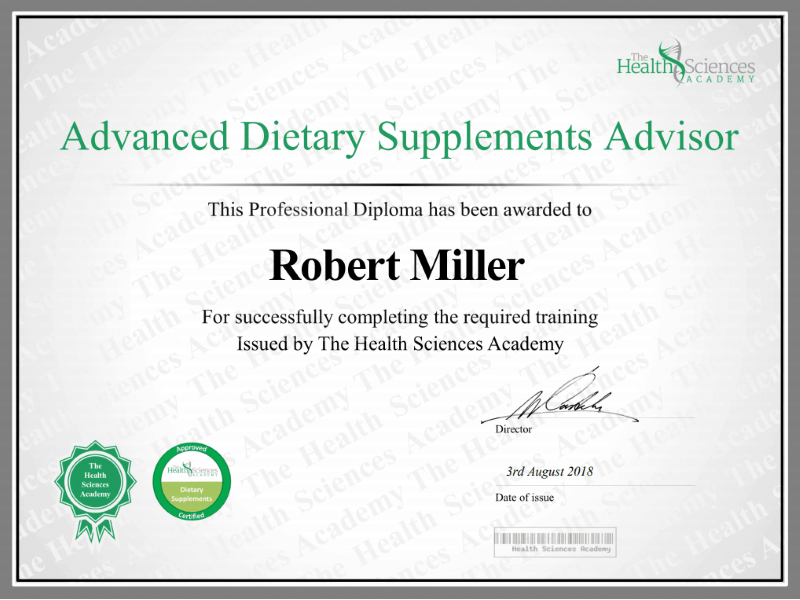 So what’s that all about and what does it have to do with ordering supplements? At this time, the only way to purchase Nootrobox Sprint is online through its official website. Some Nootrobox products are available on Amazon, but currently, Sprint is not one of them. So if you want it, you need to buy it through the website. Nootrobox Sprint doesn’t use a free trial scam, but they do something else that’s making some of their customer upset. As you can see, the “subscribe and save” box is conveniently checked for you. If you just glance quickly, you might think, “cool, I’m saving 10%”. It says “subscribe” but it’s not clear what you’re subscribing to. You may think it’s an email list and that’s worth the 10% discount. But really, you’re subscribing to their monthly shipping program. It does say “subscribe and deliver monthly”, but nowhere is it explained in full before you place your order. Many potential customers would think they can’t possibly be setting up monthly orders without being explicitly told and having the process explained to them. And that explains why so many customers are upset when they start getting monthly shipments and bills. Judging by the customer feedback, the guys at Nootrobox aren’t particularly good at being responsive to their customers’ needs once they feel they’ve been fooled or tricked. You don’t have to take it every day, just as needed. Ingredients and amounts are listed so you know what you’re taking, and can choose your dose properly based on real information. The formula uses an optimal caffeine: l-theanine ratio for effective cognitive improvement. The product is undergoing a small clinical trial. The ordering process is somewhat deceptive. Many customers have been caught up in monthly billing cycles that they have trouble getting out of. As fast acting nootropic supplements go, Nootrobox Sprint has a good formula. The caffeine/l-theanine combination can indeed help you be and feel more productive in any given moment. The long term benefits are harder to quantify. Given that it’s not designed to be taken daily, whatever benefits you may get from maintaining sufficient levels of B Vitamins and Vinpocetine don’t really apply here. Regardless, whether you’re thinking of using the whole stack or just one product, Nootrobox Sprint is a good one to choose for its immediate cognitive benefits. Just make sure you know whether or not you’re signing up for monthly payments. Have You Used Nootrobox Sprint?